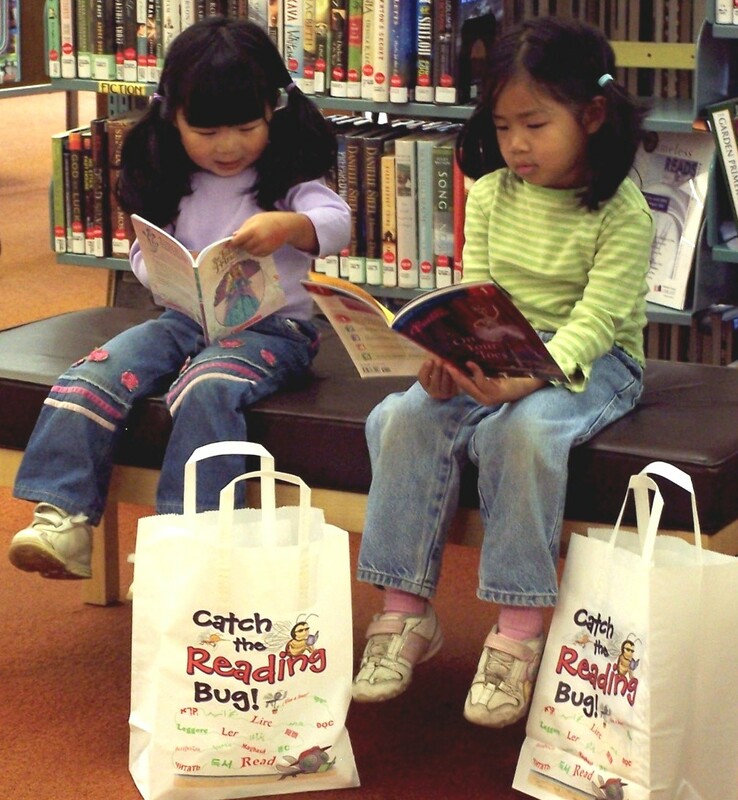 Our Kid Power volunteers will still be helping with spinning and stamping at the Catch the Reading Bug table until 5pm on Saturday August 16th. So finish your summer reading and hurry in to claim your prizes. Abigail and Anna did. They even told us about their favorite book–Madeline! Check out the Summer Reading Game blog at http://summereadingame.wordpress.com to find out the whole story. 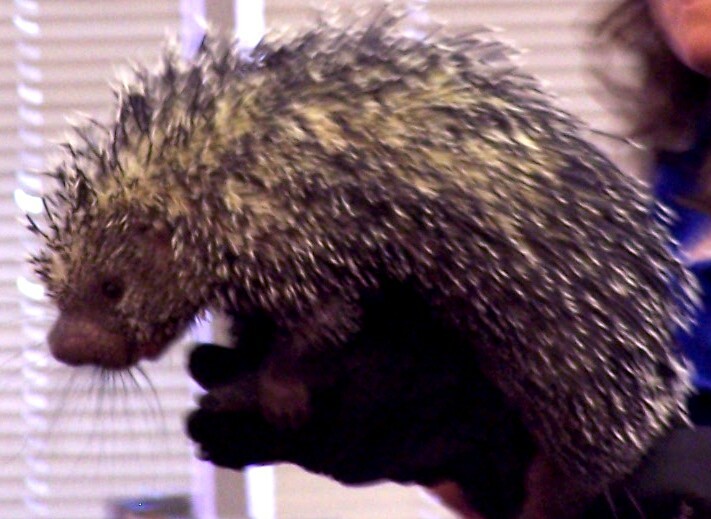 Wild Things, Inc. brought a fascinating array of rescued animals to our program on Monday, including a lemur, an owl, a monitor lizard, hissing cockroaches, and everyone’s favorite alligator, Izod! All who dared got to pet Izod after the show. If you were at the show, do you remember what kind of animal Poquita was? (Hint: she is a rodent and a member of the mouse and rat family). 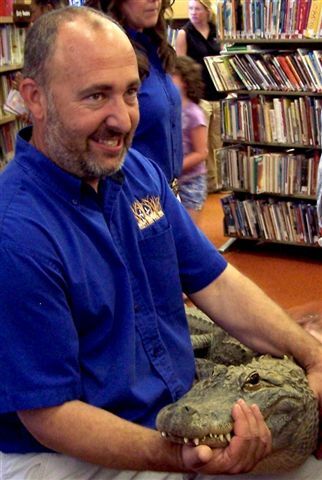 And by the way, our preschool storytime on Wednesday, August 6th will be about crocodiles and alligators. Join us!